Every year more and more families and businesses are happily surrendering their housework to Green Maids Canada. We have thousands of customers in neighborhoods across the Lower Mainland. Why are people choosing us over other services? 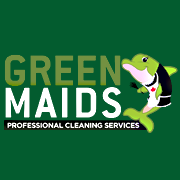 In a relatively young industry, Green Maids Canada management has provided consistent and superior service for seven years. Green Maids Canada successfully initiated the 100% guarantee. We care, treating each home gently as if it were our own, and giving it the best possible cleaning. So come along and join the rest! The benefits and good feelings are indescribable. Give yourself the gift of freedom from housework.